My first time towing a motorcycle was stressful. I had no less than a dozen people watching. A few were drunk, or at least working towards that goal. All were watching me. Many offered their uninvited opinions. The vast majority were speaking amongst themselves, in a language I didn’t understand, sharing what I could only assume was color commentary. I had just bought a motorcycle something which would allow me to tow motorcycles using my Jeep’s 2″ trailer hitch. Perfect! I thought. 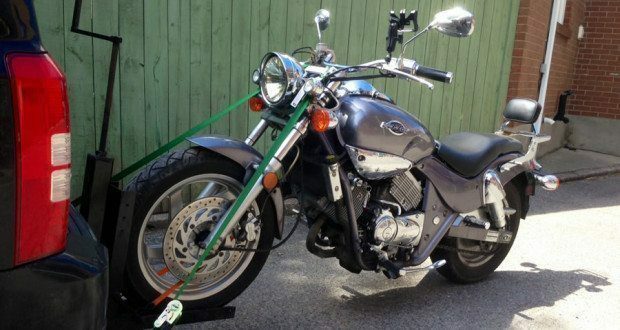 The idea was never to start towing motorcycles for pay, though I would later offer to do so. The idea was to have a means of towing a motorcycle, so as to bring one with me on road trips with non-riding friends. My two car garage was already pretty full with a car, some tools, and a few bikes, so the smaller the better. When I say Charlie is a gentleman, I mean that he offered me a beer, and repeated the offer twice more as we continued to down the brew. A day or few earlier, I had bought my locally-made motorcycle trailer-thing from a gentleman named Charlie. When I’m telling you it’s locally made, I mean it. Made in a backyard Toronto shop, about 5 minutes from my house. When I say Charlie is a gentleman, I mean that he offered me a beer, and repeated the offer twice more as we continued to down the brew. My mind flicked back to the task at hand. The crowd was there, watching me as I checked the straps on my bike. I live in a hilly area, with a steep driveway, and some sharp 90-degree turns. The crowd were my neighbors along with their friends and relatives. If anything happened to my motorcycle, not only would I feel so sorry that I hurt her, but I would have to hide my face in shame every time I left the house for the rest of the week. Luckily. Nothing happened. In fact, the next morning I took my second motorcycle towing trip, towing my own bike once again. This time we went down to the dealership for a potential gasket leak. “That’s nothing. Pressure hose it, see if it comes back, if it does, we’ll take care of it. It might just be sweating a bit.” Have I mentioned that Dave at Studio Cycle in Toronto never, ever, charges for work that isn’t needed? So I just kept driving and towed my bike right back home and gave her a wash. I guess even being the macho he-man that I am (*snort*), I get a little squeamish trying new things, but hey, life begins at the end of your comfort zone. Since then I’ve towed over a dozen motorcycles so far. 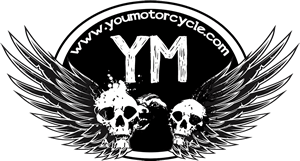 Offering a motorcycle towing service has been a lot of fun. They’ve ranged from 2011 50cc Vespa scooter that was an every day commuter bike to a 1985 Honda Gold Wing touring motorcycle that was coming out of long term storage to be restored. 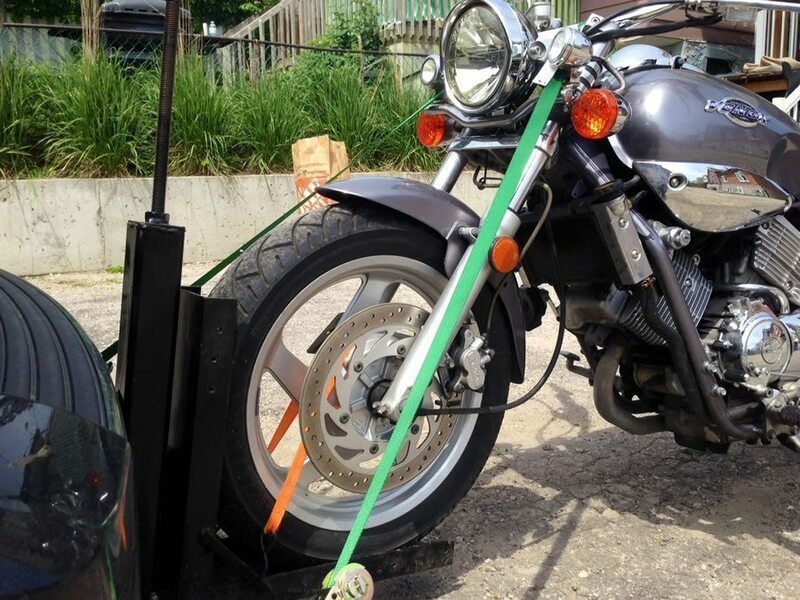 If you need motorcycle towing in Toronto please contact me. With a car ? You’ve never know fun until you tow a Hog with a Hog, then you get some real, “out of your mind” looks from pedestrians, you won’t notice until you stop because it takes all your concentration as well as coordination, but sometimes you just got to do it, no choice. What the heck? We NEED to see a picture of this, Mark! All I can offer is witness statements, mine, the tow-er, and Gabe’s the tow-ee, as our hands were full, me hand shifting, steering and pulling, Gabe steering and keeping the rope wrapped on his bars, left no camera hands free, I’ll fire him a copy of this tho’. There’s more radical things done on 2 wheels than a tow, nowadays. Hats off to you boys!